Louisiana boasts one of America’s most colourful histories and unique cultures, colonised by France and later settled by the Spanish, Africans and Caribbean people that has resulted in its large Creole and Cajun communities, greatly influencing the music, food and language. By taking a cultural road trip from Lafayette to Venice, known as the ‘End of the World,’ you can experience some of its best, including the world-famous Great River Road, Plantation Alley, and of course, New Orleans. For anyone who wants to know more about the Bayou State’s culture, Lafayette is the ideal place to start. The Acadian Cultural Center explores the rich cultural heritage of the Cajuns, also known as the Acadians, who were originally from Canada before settling in Louisiana. Afterward, explore the Acadian Village, a park that’s dedicated to preserving Acadian history. The 19th-century Cajun village includes 11 buildings, seven of which are authentic homes from the period, donated by ancestors of the families who once owned and lived in them. You’ll be able to see the unique construction methods of the times with the structures made up of mud walls, cypress wood, high-peaked roofs and wooden pegs. The Paul and Lulu Hilliard University Art Museum is worth a stop too. Here you can view works from the 18th-century through today, in a modern building that contrasts with the plantation home sitting adjacent to it. When it’s time to dine, if you want to sample traditional Cajun cuisine like gumbo, etouffee, boudin and king cake, two of the top spots are La Cuisine de Maman and Cajun Market Donut. 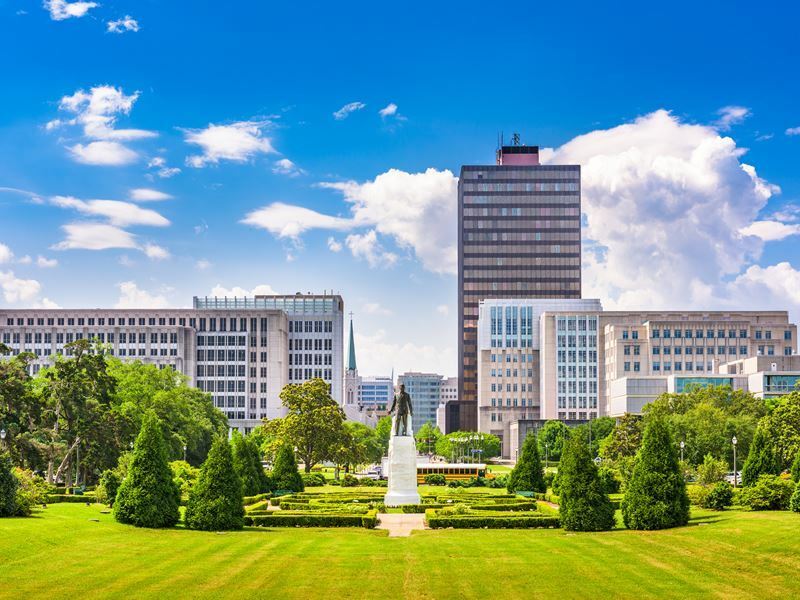 The Capital City of Baton Rouge is a great spot to enjoy a unique Louisiana experience, and it’s the halfway point between Lafayette and New Orleans. You may want to plan to spend a few days here with so much to see and do. Here you can take a tour of both the old and the new State Capitol buildings. The current building offers a beautiful 27th-floor view and is considered an Art Deco gem. It also has a rather interesting history, with the controversial governor Huey Long who helped to build it assassinated here shortly after it opened in 1935. The Old Louisiana State Capitol which overlooks the Mississippi River is an excellent example of Gothic architecture and showcases an exhibit on Long’s political career. Visitors can also tour his residence, the Old Governor’s Mansion. A few of the city’s other highlights include the USS Kidd floating museum and the Shaw Center for the Arts which is made up of gallery spaces, an art museum, restaurants and theatres. 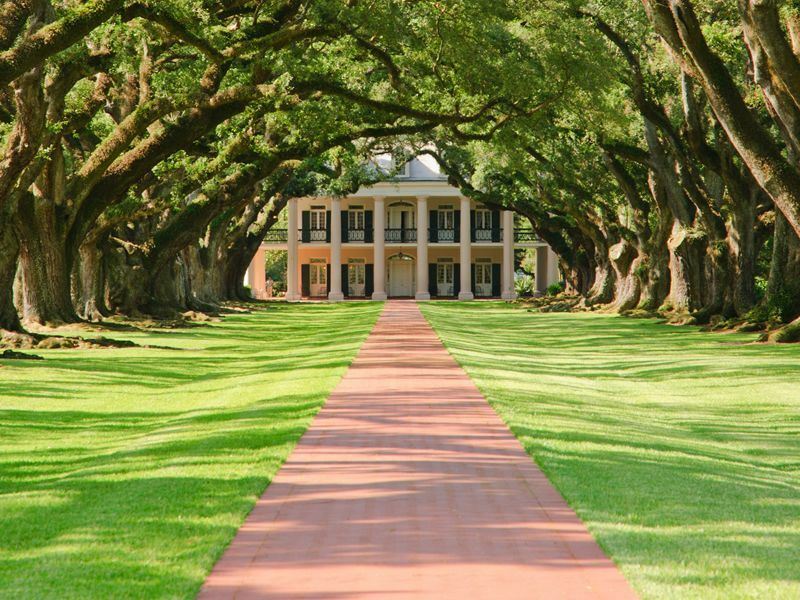 A must while you’re in Baton Rouge is a tour of the Magnolia Mound Plantation. The main house dates all the way back to the late 18th-century, and there are a number of well-preserved outbuildings as well. The plantation house is a survivor of French Creole architectural style that was originally built as a small settler’s home, but not long after it was significantly expanded and eventually transformed into a 900-acre operation which lies along the Mississippi River. You’ll be entranced as you wander through the house which contains a collection of locally-made furniture from the colonial period along with French pieces, decorative art items, and French and English ceramics. History buffs won’t want to miss the Louisiana Museum of Natural History, with 16 collections hosted at Louisiana State University featuring over two million artefacts, objects and specimens. They can be found at various units spread throughout the campus and include the Louisiana Geological Survey Log Library as well as the impressive Vertebrate Paleontology Collection, and Louisiana Geological Survey Log Library. In between your cultural exploits of Baton Rouge, stop at Louisiana Lagniappe for a bite with its menu focused on Creole classics like homemade boudin and blackened shrimp along with specialties such as Louisianne and chicken Acadiana. The charming town of Plaquemine is a short drive south of Baton Rouge and has a deep history that can be witnessed through its grand antebellum buildings. A walking tour is the best way to experience it, beginning at Saint John Church, strolling the streets that feel as if you’ve stepped back into another time with many historic homes that have been restored. The Iberville Museum in the Plaquemine Historic District that sits across from the Plaquemine Lock Historic Site displays various historic artifacts along with special exhibits. Just minutes south along the Great River Road you’ll begin your tour of Plantation Alley, which may be the highlight of your trip. Nottoway Plantation is just the first of many that are in varying stages of restoration and decay. This spectacular world-renowned mansion enjoys an especially magical setting along the Mississippi River Road. Visitors can tour the mid-19th-century sugarcane estate with its elaborate features that include 22 massive exterior columns, beautifully detailed mouldings and hand-carved Italian marble fireplaces, as the crown jewel of southern antebellum plantations. Houmas House Plantation and Gardens is considered a must-visit. Once America’s largest producer of sugar, visitors can walk in the footsteps of a wealthy Sugar Baron in the 1800s. The mansion is surrounded by gorgeous grounds that include a magnificent fountain and 38 acres of lush gardens. The Greek Revival mansion and its great colonnade that stands today has changed little since 1829. Its topped by a restored belvedere that overlooks Oak Alley and the sweeping bend in the Mississippi. Visitors here can also enjoy one of the most luxurious dining experiences in Louisiana at Latil’s Restaurant which dates to the 1770s, a casual bite at Burnside Café or boutique wines at the plantation’s Wine Cellars. Another one of the most popular plantation tours along Plantation Alley, Laura Plantation allows visitors to experience Laura Lacoul Gore’s world, who ran it as a sugar plantation through the late 19th-century. With its vibrant hues and French Creole flair, it’s decidedly different from the other plantations in the area. It’s also the very place where Alcee Fortier started her recording of the tales of former African slaves that were famously published as the Tales of Br’er Rabbit. The guided tour includes a walk through the house, its basement and galleries, as well as common rooms, men’s and women’s parlors, and the service rooms. Outside, the homestead that includes three gardens and 12 buildings on the National Historical Register, such as the 1829 Maison de Reprise and the overseers’ cottages can be explored. You can even visit one of the authentic slave cabins, including Fortier’s. Oak Alley Plantation is one of the most famous in the area, as it’s been the film setting for “Interview with a Vampire,” among others. Majestic, three-centuries-old live oak trees lead to the mansion that was named for its stunning quarter-mile entrance. Known as the “Grande Dame of the Great River Road,” visitors marvel at the ancient oaks and the majestic cypress trees in the swamps that border the Mississippi River, as well as the “Big House,” a palatial Greek Revival home which can be toured by guides in period dress. While the St. Joseph Plantation isn’t as well known, it’s worth visiting. A rare family-owned sugar cane plantation that’s still fully-intact, the Creole-style house is simply breathtaking. Visitors can witness how people lived and worked back in the 800s by wandering through a schoolhouse, blacksmith’s shop and cabins. Just before you reach New Orleans, you may want to make a stop in Donaldson. The River Road African American Museum offers the chance to explore the many contributions of African-Americans along the Mississippi River to the region’s art, music, cuisine and agriculture. New Orleans offers countless ways to experience the state’s, and the city’s, unique culture. In fact, this is one of America’s top spots to delve into history, with the cobbled streets that are lined with ivy-draped French colonial townhouses, Creole cottages built on stilts and the grand antebellum mansions with their opulent balconies. The French Quarter is considered the birthplace of the city, with it founded around this area in 1718. 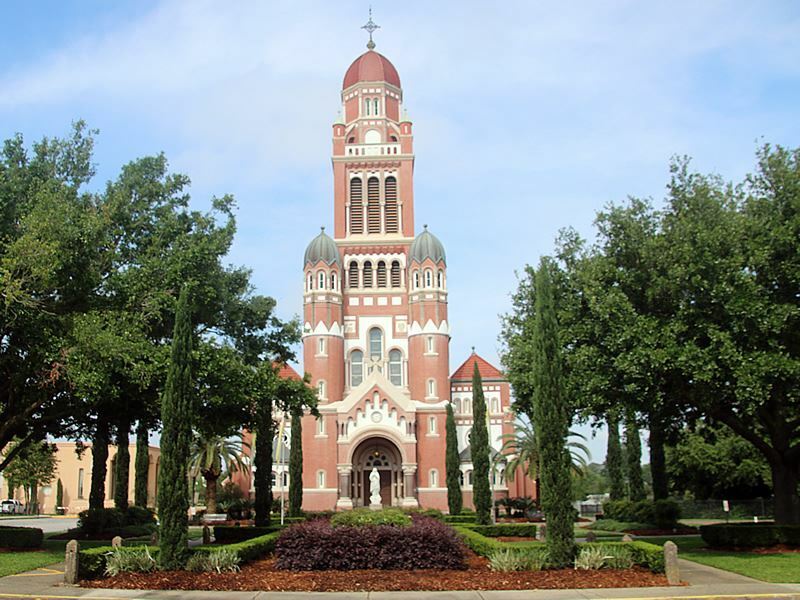 While most of the French buildings were destroyed in fires in the late 1700s, the architecture here reflects its diverse history, a combination of French Creole, Spanish and Greek Revival styles. Many of the elements, particularly the bright colours, come from the Caribbean region. Take a selfie with the statue of Andrew Jackson atop his horse in Jackson Square with the St. Louis Cathedral as the backdrop. It’s the ideal introduction to the Louisiana State Museum, a collection of nine historical museums, five of which are located in New Orleans. You can also tour the 1799 Spanish Capildo, the site of the signing of the Louisiana Purchase and the adjacent 18th-century Presbytere which showcases cultural exhibits. You might want to take a walk through at least one of some 40 cemeteries in the city, like the Saint Louis Cemetery No. 1. 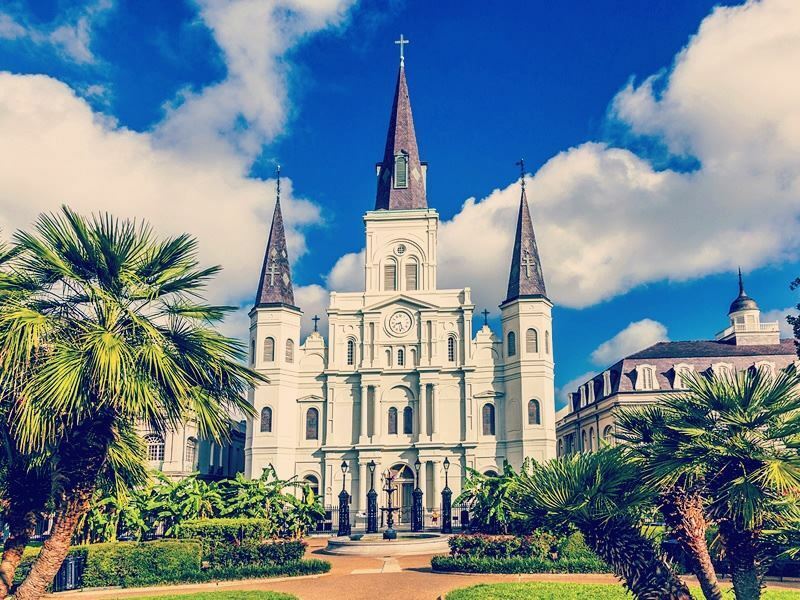 Located in the French Quarter, you’ll be able to see the graves of legends like the Voodoo queen Marie Laveau, and New Orleans’ first African-American mayor. As the birthplace of jazz, taking in some music while you’re here is really a must. Its roots date back to the late 19th-century when it combined traditional African rhythms with European harmonies. It echoes the spirit of the people here and can be enjoyed in many iconic spots like May Bailey’s, Preservation Hall, the Tango Belt and the Old French Opera House. With the mouthwatering eats in this city, you may want to combine the music with dining, which can be done at multiple renowned restaurants offering Jazz Brunch, typically on Sundays, like The Court of Two Sisters. It sits within a mid-19th-century building and features an open-air courtyard creating an unforgettable atmosphere for fully experiencing the delicious fare and the music. There are many other ways to explore this music scene that was influenced by legends from Fats Domino and Louis Armstrong to Harry Connick, Jr. and Wynton Marsalis, with live music hosted here 365 nights a year. A Mississippi riverboat dinner cruise may be another one of the highlights of your cultural road trip through Louisiana, taking an old-fashioned journey into another time while indulging in the flavours of the local fare that reflects New Orleans’ diverse cultures. The Natchez is the only authentic steamboat still in use and offers other cruise options too, including cruises for history enthusiasts who can learn more about the lucrative cotton trade, and for jazz aficionados too. 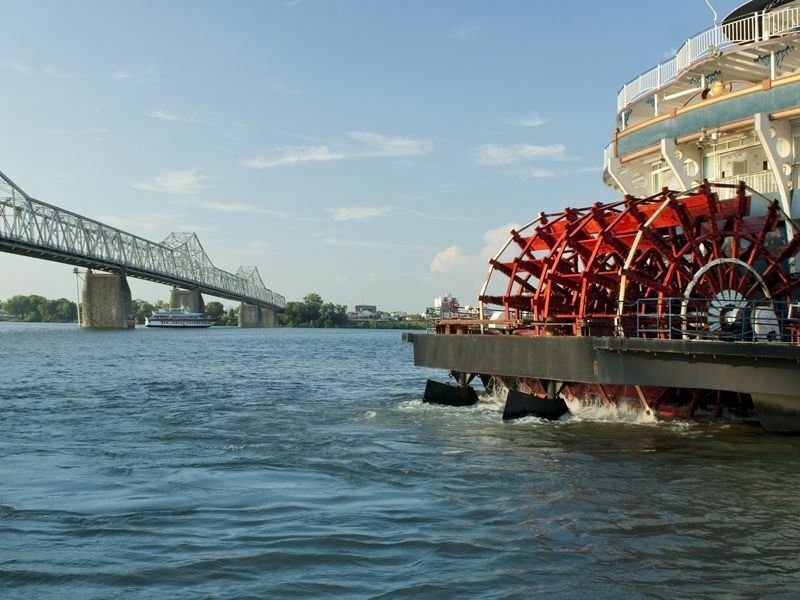 No matter which you choose, the ambiance on a paddlewheeler harkens back to times gone by and will probably make you wish you had a bit more time in this city. If you continue further south on the Great River Road you can reach what’s known as the “End of the World,” the unincorporated community of Venice. Southern Louisiana truly feels like the edge of civilization, where you can witness several versions of apocalypse that have come and gone, including the devastation of Hurricane Katrina. Cajun low country is unlike anywhere you’ve ever been. While there may be destinations where marshes, swamps and wetlands greet the sea, there isn’t another one that has the same mix of Caribbean, French and Southern culture. Just enjoy the drive, stopping into tiny haunts where you’ll hear the odds sounds of a French and Southern twang while dining on fried, just about everything.